What Will Apple’s iWatch Be? Rumors of Apple’s foray into new product categories don’t seem to stop. For a couple of years, the gossip was surrounding Apple developing some kind of smart television. While we haven’t seen any iTV yet, there’s still a good chance they are working in that area of interest. Something more recent but no less talked about is Apple’s interest in wearables. The so-called iWatch has become another hot topic, one that possibly could have lead to Samsung running out of the gate with their ‘smart watch’. While Samsung may be first to releasing a watch with a mobile OS crammed inside, I don’t think Apple’s efforts will resemble their competitors’. Apple doesn’t go into a product category without much thought and planning. Anything they release is held up to high standards. In terms of a wearable, it would need to provide a useful function in a well designed body while providing a battery life that makes it as useful (relatively) as a normal watch. It won’t just be a smaller touch screen running iOS and trimmed apps. They will want a product that touches people’s lives. For years, Apple has offered support for the Nike+ line of products. With just your iPod or iPhone, you can read data from a Nike device and log a workout or physical activity. It’s not something that is often talked about at Apple keynotes, but it’s still shows an interest in health and fitness. Oh, and did I mention that Apple CEO Tim Cook is on Nike’s Board of Directors? Tim Cook himself also has an interest in fitness. One CNN article even described him as “a fitness nut”. What might a fitness nut in charge of one of most well known technology companies want to create? I think there’s an important key also to be found in the latest technology found in the iPhone 5s: the M7 motion coprocessor. 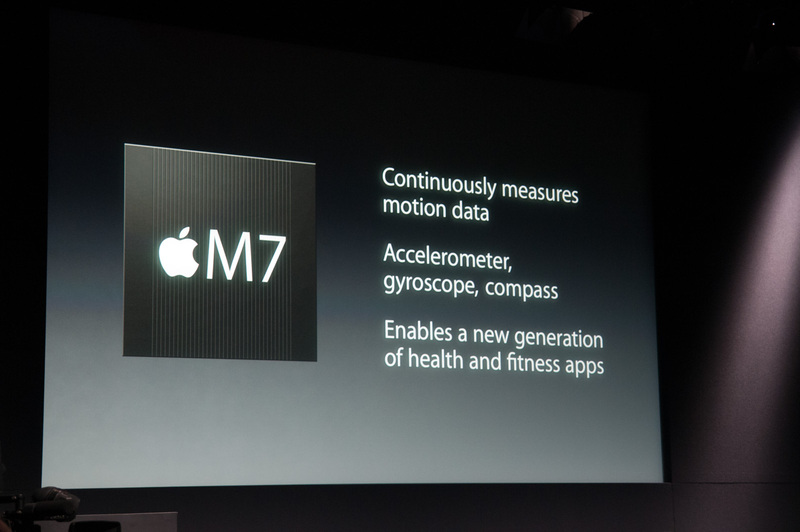 The M7 allows the iPhone 5s (and undoubtedly future mobile devices) to continuously measure and process motion data from the compass, accelerometer, and gyroscope. Even during in the iPhone keynote and the unveiling of the M7 coprocessor, it was described as being able to enable “a new generation of health and fitness apps”. Will it also be able to usher in a new generation of health and fitness devices, too? I for one think that this is the direction Apple is going with the wearables category. And the rumors regarding who might be working on such a device lend some credence to that. Of course, nothing is certain until Apple announces it. But I am definitely thinking that, whatever Apple’s iWatch becomes, it will not just be a watch with an OS. It will track your health, your motion, and be a new fitness companion that will compliment, rather than compete, with your iPhone. Apple held it’s keynote this morning at the 2011 Worldwide Developer Conference. The three big announcements were regarding OS X Lion, iOS 5, and the launch of iCloud. New Notification Center: Did you hate getting notifications, whether from the Messages app or something else, that kept interrupting what you were doing? Well, you don’t have to worry any longer! All notifications now go in the new Notification Center. How do you get to it? 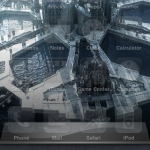 Simply swipe down from the top of your screen from anywhere! 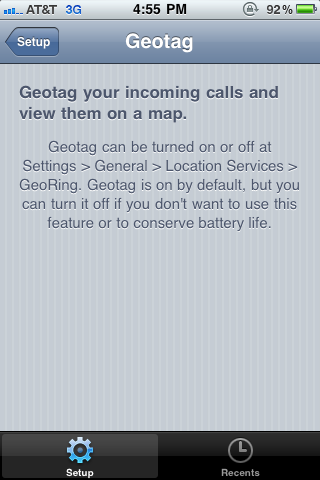 All notifications will go there, too, from missed phone calls to text messages. iMessages: Text messaging is great on the iPhone. However, services like Blackberry Messenging allowed for Blackberry users to message each other with an internal app. Well, Apple has come up with their own. Messages has been expanded with iMessages, allowing iPhone, iPod Touch, and iPad owners to message each other in the same way that one would send a text to someone else. Finally, a great way to easily keep in touch with your iOS friends! Newsstand: If iBooks was a way to manage your digital books, Newsstand is your way of handling magazine subscriptions. It looks like iBooks, probably acts like iBooks, and if you’re big into digital magazines, may be just as exciting to you as iBooks. One neat thing with this, though, is that it will automatically download the latest magazines in your subscription for you to view. Reminders: How many times have you put in something important into the Calendar app just to remind yourself of something small, such as picking up something before you leave home? Well, there’s now an (Apple made) app for that! 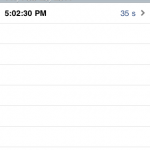 Reminders lets you create lists of things you need to do. However, it goes beyond simply reminding you on a certain day or time. It also can be triggered to remind you based on your location. Need to run to the bank before you head home? Reminders can send an alert as you leave work to remind you of that. Now that is useful! Twitter Integration: Ever wish you could tweet a photo from the Photos app? Or share a cool link from Safari? Now you can! Twitter is built right in so you can tweet with most apps. Simply enter your Twitter info from Settings. Camera Updates: The iPhone 4 camera is already impressive. But what happens when you need to grab a quick photo and you only have a few precious seconds to do so? By the time you unlock the phone, navigate to the page with the Camera app, and take the photo, you might have missed what you had wanted to capture. Not anymore! Apple has included an icon on the lock screen that takes you right to the Camera, so that you can quickly take the picture you wanted. The Camera also includes the ability to pinch-to-zoom feature, the ability to lock the autofocus and autoexposure, and optional grid lines on your photos to help with photo composition. Oh, and have you ever wished for a button on the iPhone to take a picture? The Volume Up button now works as that. Photo Editing: You can now edit photos in the Photos app. This includes cropping, redeye removal, and photo enhancements. This makes for a quick way to touch up a photo before you Tweet it to your friends from your phone. Tabbed Browsing and Reading Lists in Safari: Now, tabs are visible on the iPad in the same way they are in Sarafi for the desktop. Easily switch to the tab you want. You can also view articles with Safari Reader, which will remove ads and other “clutter” from an article you may be trying to read. 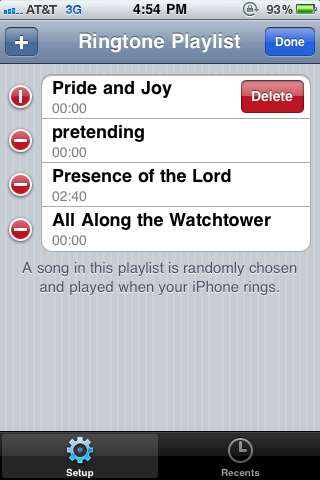 Lastly, you can save items you wish to read later to a Reading List. (Sounds a bit like Instapaper, though). Goodbye USB Cable: No, I’m not saying you won’t need to charge your iOS device ever again. But, you won’t need to be plugged into a PC or Mac to activate or update your device. 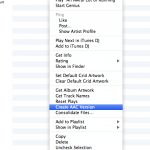 And you can now sync your iTunes library over WiFi. It’s about time! This was just an overview of the features announced by Apple during today’s keynote at WWDC. 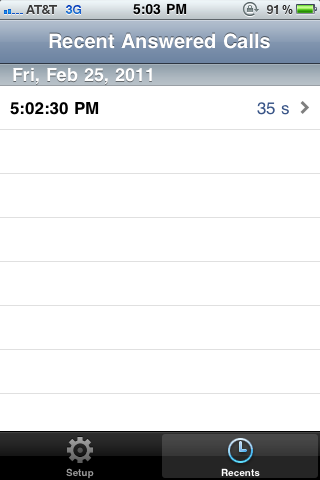 Posts regarding iCloud and OSX Lion will come soon, as well. What do you think about these updates? Comment below! Sometimes, the built in functions and options in a device are not enough. 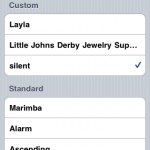 Choosing a ringtone on your iPhone is one thing. But what about having a random ringtone? Well, there is an app for that. (Go figure!) It’s called GeoRing by XVision. 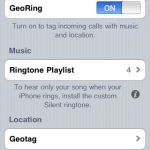 GeoRing allows you to use your entire music library as potential ringtones. Want to hear your favorite tunes when someone calls? You can! 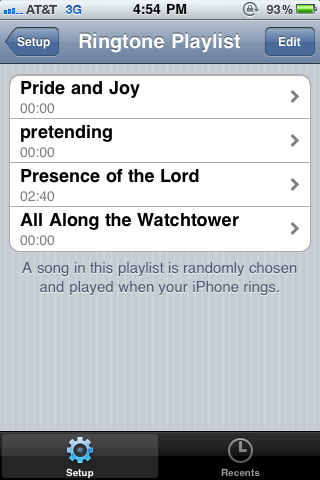 And best of all, you can add as many songs as you want to your ringtone playlist! 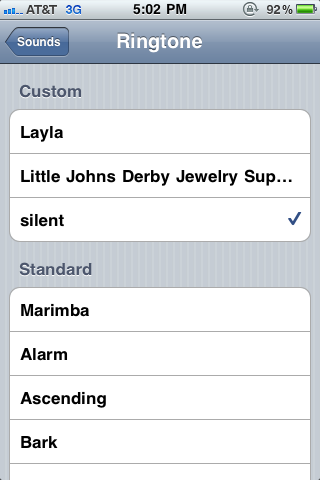 You can also customize at what part of the song the ringtone will begin at. Don’t like the opening to a song? Have it start ringing at a particular section. 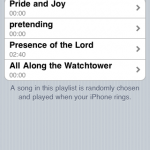 It can make it easy to find those catchy riffs in a song that you think would make for a great ringtone! 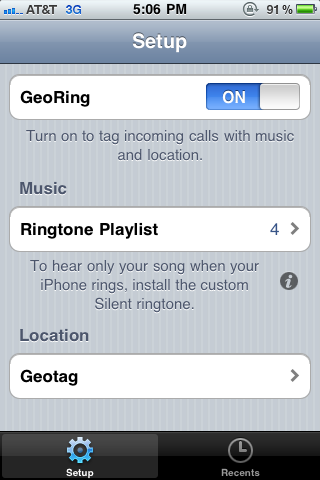 While the ringtone option is seemingly the main feature, GeoRing also allows you to map where you receive your phone calls. Ever been on a call with someone and you wish you could remember where you were at the time, perhaps because of that awesome coffee shop you were walking by at the time? Well, you won’t need to worry about that anymore! GeoRing gives you the ability to see where you were. 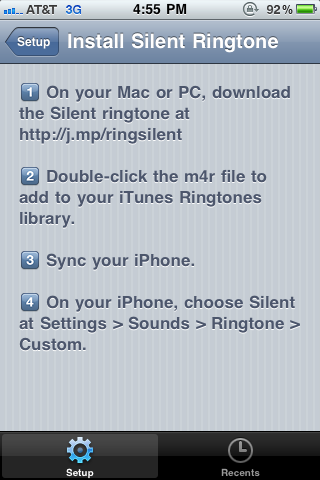 You need to have a silent ringtone (which you can download from their site) for your iPhone, or else your default iPhone ringtone will also go off along with your GeoRing set songs. 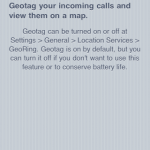 The GeoRing app needs to be running in the background for it to operate. Do not remove it from your background processes. 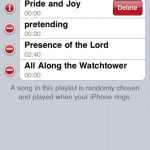 I think many people that are interested in custom ringtones might find this app to suit their needs, especially those with a large music library on their iPhones. Sometimes you’ll find apps that will not do all that they say they do. This one is definitely not one of those. Everything this app says it does, it does! I definitely recommend this app. For more information about GeoRing, you can find it on iTunes or check out the XVision website. Or follow @XVisionNow and @GeoRingApp on Twitter. So, you’re the owner of an iPhone and you want a nice ringtone. All you see, though, are ones you have to pay for. What about making your own? After all, you have all of your music to choose from! First, we need our audio clip. Presumably, you have an audio track in iTunes already that you would like to use. 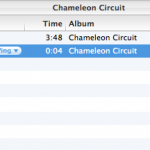 I’ll be using a song by Chameleon Circuit for my example. 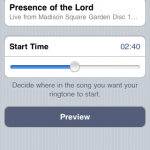 Now, you can use a whole song as a ringtone. Likely, though, you will only hear a few seconds of it. For this song, I only want to hear the first few seconds before it repeats. 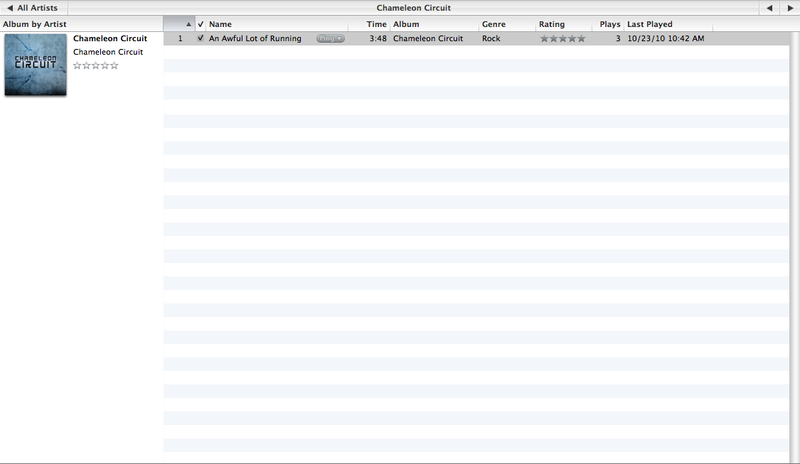 So, I go into the song’s info window and choose the “Options” tab. 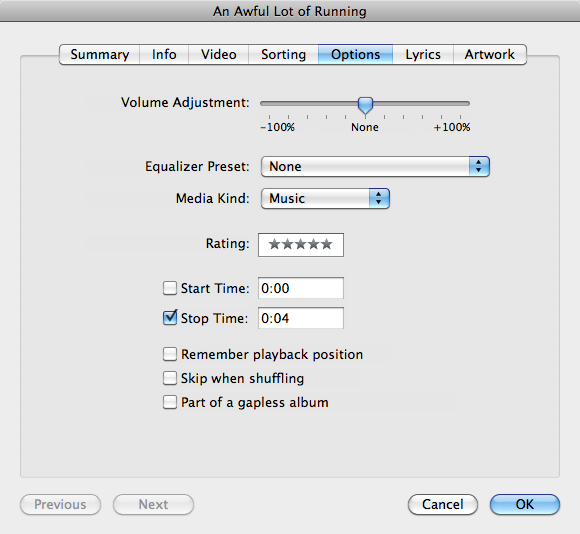 There, I’m able to set when the song stops playing. 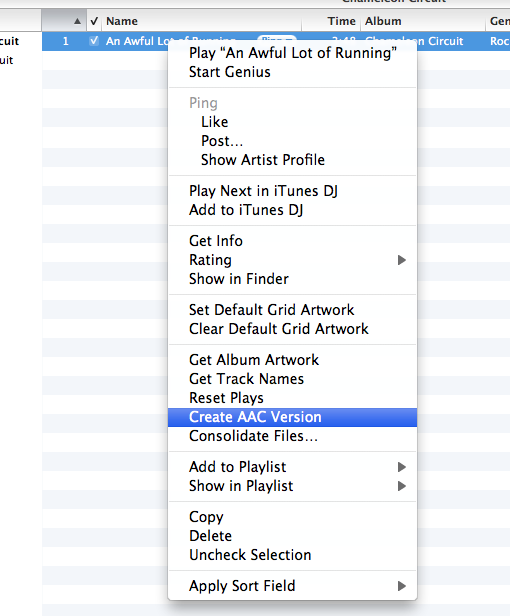 Once you’ve made those changes, right click on the song and choose “Create AAC Version”. 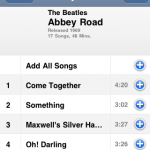 This will create a duplicate listing in your iTunes library. However, you’ll notice that the new item will only be as long as the selection you had made. Take this new item and export it from iTunes. 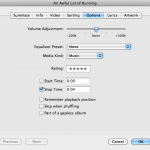 The easiest way to do this is to simply drag the song from iTunes onto your desktop. Now navigate to the file on your desktop. You’ll notice that it has a file extension of .m4a. 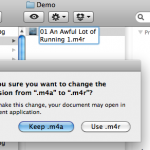 Rename your file so that it now uses a .m4r extension. 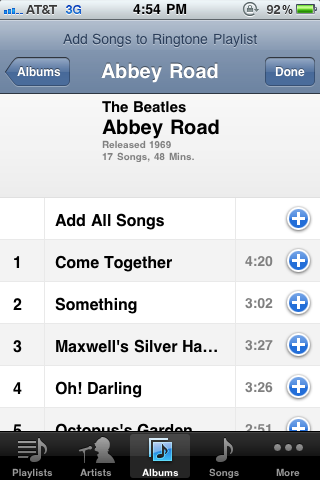 Once you have changed the extension, simply drag the newly renamed file from its current location into iTunes. 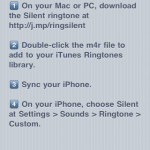 iTunes will import the ringtone into your library, where you can now sync it with your iPhone. Simple enough? I think so! Feel free to try it yourself and leave some comments and feedback about this post. Twitter Approaching 10 Billion Tweets?! Amazing! It’s hard to believe that Twitter is already approaching the 10 billion tweet mark. It seems like not too long ago, we were faced with the Twitpocalypse. But, in under two days, Twitter will break past 10 billion tweets. That comes out to lots and lots of messages that are being sent across Twitter! Want to get a visual on just how fast tweets are coming in? Check this link out! Hundreds of tweets are generated each second. That’s so hard to believe. Of course, with all of this happening, I just have one thing to ask: If Apple can reward someone for buying their 10 billionth song, can Twitter give away a $10,000 gift card for sending the 10 billionth tweet? Just saying. Apple’s iPad is Here! Thoughts? It was less than just over an hour ago when Steve Jobs officially announced the iPad, Apple’s tablet PC. For anyone that hasn’t heard rumors about this device, where have you been?! So, what is this tablet all about? Think of it as a large iPod Touch. It has a 9.7″ touchscreen, 1GHz processor, and the same simplistic design that can be found with the iPhone and iPod Touch. This item has been rumored for so long, yet with it here now, what kind of work could it be used for? Given its size and the fact that it is roughly 1.5 lbs., such a device could see various portable uses. And with the same accelerometers and most of the capabilities of the iPhone, I can see this being a household item. It even has a 10 hour battery life (and a month of standby battery life?! That’s insane!). Plus, the presentation today showed a few interesting things. First, all current iPhone apps will work on iPad as they are now. They can either run in the current size or in full screen. I personally find this to be impressive, especially given all of the apps in the app store (over 140K now!) that can help with productivity and other tasks. That’s a large assortment of applications that users will be able to use right away on their iPad! Second, they launched a service called iBooks, which essentially will let you buy and read books right on the iPad. Were you ever interested in the Kindle? Well, I’d save up for an iPad, instead! You can read books right in the palm of your hand. You can even flick the pages to go from page to page. Cool! Third, with the larger screen, it looks like Apple has versions of iWork now available for this device. Personally, I’m a fan of Open Office, but if iWork can do it, why can’t Open Office? This definitely can be a productive tool in the office! Price wise, these devices seemed to blow me away! Then again, seeing how they’re more like an iPod Touch than a mini-Mac, the prices made sense. The prices don’t seem bad, either. They come in two flavors: one is purely WiFi enabled, the second also includes 3G support. The 16GB WiFi model starts at $499, 32GB is $599, and the 64GB at $699. The 3G models are $130 more (for each size). So, for a 3G 64GB iPad, you’d be looking at spending $829. That is much cheaper than the rumored $1000 price! We’re also seeing a few accessories coming from Apple with this release. The first obviously makes sense. If you’re releasing an item with a 9.7″ touchscreen, you’ll have people that definitely would want a real keyboard to use instead of the touchscreen. 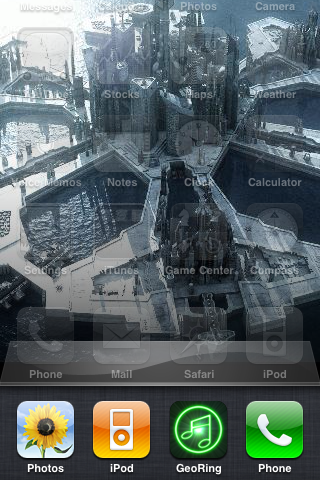 So, here’s the Dock. It makes perfect sense as an accessory to offer right from the start. I think that accessory alone will interest people in the iPad. You can dock up the device and type away on a report, an article, on anything you need to type up, and then just undock the device and bring it with you. That’s brilliant! I think it is a very neat device. I personally don’t see an immediate need for such a device, but with all that you can do with an iPhone now, it makes sense to up the design to something that people could use for much more. Anything you could do online, whether it is getting a map, reading a news paper, reading a book, playing Sudoku, solving a crossword puzzle, paying your bills, watching a movie, downloading music, all of it will be much easier to do on the go, anywhere in your house or otherwise, in your hands with iPad. And I think I missed so many details in this post. If you really want to get the full news about this, visit the new site Apple has set up for the iPad, or check out the full video presentation on iTunes. (I’ll post the link once it goes live). What do you think of the iPad? Share your comments!